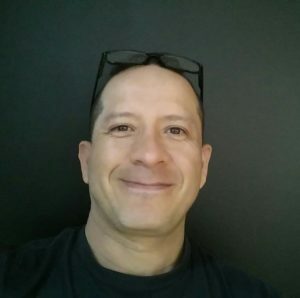 Giovanni is a skilled and caring Remedial and Relaxation Therapist. Whether you are looking for relief from general stress and muscle tension, have a specific shoulder or lower back pain, muscle sprain, muscular spasm or other unspecified strain, injury or condition, even if you just want to enjoy an excellent massage. A graduate of Victoria University has broad experience in relaxation, remedial and rehabilitation techniques including: all major remedial massage techniques, sport massage, deep tissue massage, trigger point therapy, myofascial release, muscle stretching, proprioceptive neuromuscular facilitation, muscle energy technique. As a Massage therapist he has experience collaborating in a multidisciplinary centre alongside physiotherapist, neurologist, orthopaedic therapists and other health professionals. He performs his therapy aiming to address the requirements of clients with chronic muscular conditions and limitations, customizing treatment plans based on his client’s needs. He has treated clients across a wide age range with his remedial massage therapy. Attending conditions including: frozen, shoulder, quads/hamstring pain, calf’s muscles strain, ankle sprain, shoulder blade discomfort, most traumas and injuries; dislocations, rehab massage for a bone graft intervention. A passionate therapist, Giovanni enjoys working closely with clients on a joint plan to achieve their health and well-being goals.